Your itinerary includes some good beach time at Burleigh Head National Park and Burleigh Heads Beach. Step out of the city life by going to Surfer's Paradise Beach and David Fleay Wildlife Park. There's more to do: find something for the whole family at Sea World Theme Park and admire nature's wide array of creatures at Currumbin Wildlife Sanctuary. To see other places to visit, where to stay, ratings, and more tourist information, refer to the Gold Coast online route builder . 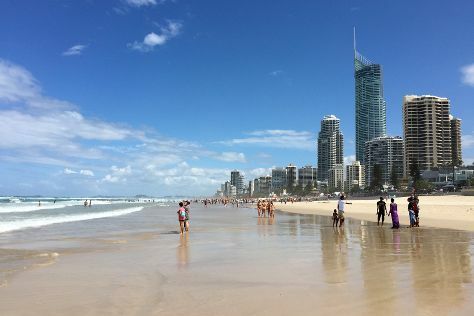 September in Gold Coast sees daily highs of 27°C and lows of 15°C at night. Wrap up your sightseeing on the 1st (Mon) early enough to travel back home.